People who want to experience nature in its purest depiction should definitely visit BIOPOROS Organic Farm for ecotourism holidays in Corfu! A natural beauty located in the southwest part of Corfu island nearby the majestic Korission Lake and offers hospitality to a multitude of endemic & migratory birds, rare flora, and rich fauna, under the protection of Natura 2000! Some of these reasons have made BIOPOROS Organic Farm as one of the most amazing ecotourism destinations on Corfu island! Here you can have the opportunity to spend some valuable relaxing times by discovering the most traditional lifestyles whilst you don’t impact the natural environment in response to the increased appreciation of ecotourism holidays in Corfu! On our farm, you avoid mass-ecotourism or be exposed to activities you can find in any crowded place. Instead, you can enjoy your time in small groups, taste traditional dishes made with fresh ingredients, or be part of some unique activities you can hardly find elsewhere! Join our cooking lessons of traditional recipes, saponification, and cosmetics craftmanship, daily farm activities, taking care of our lovable animals or lessons about the luscious world of bees and be a positive part as a guest of BIOPOROS Organic Farm. Doses of extreme action are also included with hiking in wonderful Korission Lake and even Windsurfing & Kitesurfing in the crystal-clear waters of the Ionian Sea by certified trainers in a close distance to the farm! Have you ever see a flamingo? In BIOPOROS Organic Farm you have this lifetime chance, which is one of the most extraordinary time when you’ll go for birdwatching! Enjoy nature by learning from her! Our emphasis is to offer you quality time and inspire the message of environmental awareness during your ecotourism holidays in Corfu. We are trying to induct you in some of the most traditional natural activities the elders used to do and give you the chance to feel free of everyday routine. The authentic relationship with nature, sensitivity, towards, and appreciation of local culture and biodiversity, sustainable benefits, support of the local environment instead of putting more pressure on it and exploiting its resources, are only some of the main principles showcasing ecotourism holidays in Corfu. We are a hideout from the crowded city where you can enjoy high-quality accommodation services, authentic organic gastronomy, natural beauties and participate in the activities we organize from a rather more ecotouristic perspective. The joy of producing, consuming and tasting home-grown and homemade food is the secret ingredient that makes a lunch in Bioporos Organic Restautant, more than a bite. We welcome you to our hospitable farm to taste plenty of our authentic organic delicacies and enjoy some of the stressless time ever! All the dishes served in Bioporos Organic Restaurant are produced by pure materials, freshly collected in daily basis from our farm such as vegetables, fruits or eggs! Cheese and meat are from home organically raised animals in their natural conditions without any kind of byproduct feed. Every recipe we follow has a lot of history behind it as they come from the deep cooking knowledge of our forefather’s tradition. We also trust local producers or other local organic farmers who share the same concern such us for more healthy and nature-friendly means of food production. The extreme technological appliances on food industry, in order to multiply the production cost-effectively has spoiled the quality of food that ends up in our plates every day. In most of the cases, food is not fresh, contains preservatives or other chemical additives to make it last longer, or produced by animals given antibiotics, growth hormones, raised indoors away from their natural environment. On the other hand, organic food re-establishes the authentic relationship between man and nature. The term “organic” exactly refers to the model of cultivation and the procedures applied throughout the agricultural production in order to provide high-quality, natural, clean and healthy food from the farm to the table of the consumer. The benefits of Organic Gastronomy in Bioporos Organic Restaurant! Physical, mental and emotional health can definitely be affected by the quality of the food you eat. In Bioporos Organic Restaurant in Corfu, we follow the rhythms of the Greek cuisine as we’ve been taught by our fathers to serve you a healthy, tasty and nutritious food experience. Every ingredient used in our organic gastronomy is produced by methods that comply with the standards of organic farming, which in general features practices that use no fertilizers, strive to cycle resources, promote ecological balance, and conserve biodiversity. 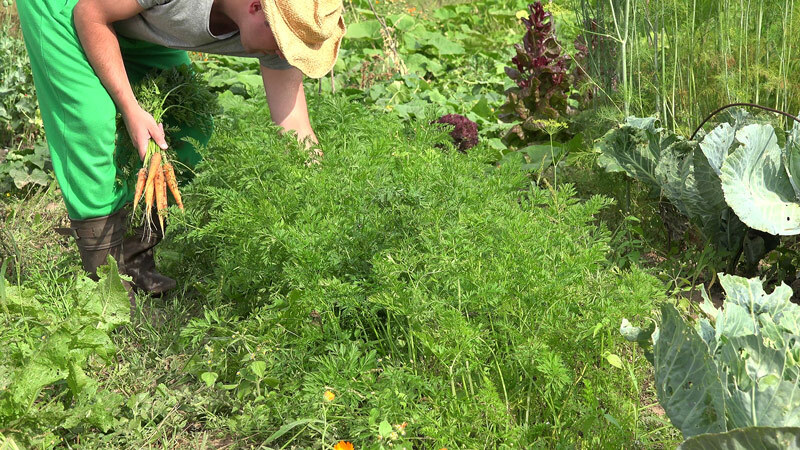 Organic farms such as Bioporos not only fulfills the dream of everyone who is seeking to add a more authentic touch in his appetite but also takes care the well-being of the domesticated animals. The island of Corfu, as an island with too many green spots also has a vibrant fauna. Initially, the visitors can admire the peacocks living freely on the Island, and they can take photos with them. Moreover, on the island of Vido, we can meet Guinea fowl, bunnies and squirrels who also live freely and in harmony with each other. While living with an intense human presence, they are wild and we do not approach people. Yet another idiosyncratic feature of Corfu, and of its fauna are the lizards on the square. These are relatively large lizards, which although harmless they can easily terrorize someone who doesn’t know they are there. The scientific name is Agama Laudakia stellio stellio-(Skoytzikas, Skoytziki). Our little friend came to Corfu either after having evolved from some other type of reptile, or came hidden in the cellars of the English army. It is the only species of tropical lizard that is found in Europe and is located on the island. It is found in Espianade, but also in a higher frequency in the regions of Gastouri and Kastellanoi Mesis. Although the old people thought that it is a poisonous kind, the reality is that they are very friendly to the people, and they just eat insects. They can survive any weather conditions as they can survive without water, only with the humidity of the environment. Moreover, their skin changes colour depending on their mood. Now, they are on the animal protection program as they are considered endangered species. Another animal that also enjoys a protection programme because it is considered endangered is the Otter (Lutra lutra). It is located at Antinioti Lagoon, and survives only in areas with very clean water. Considered as the senior predator of wetlands and hunts for fish either live, or various other amphibians, while strictly delineates the area of depending mainly on the location of food. Another interest thing for observation arethe birds of the island. 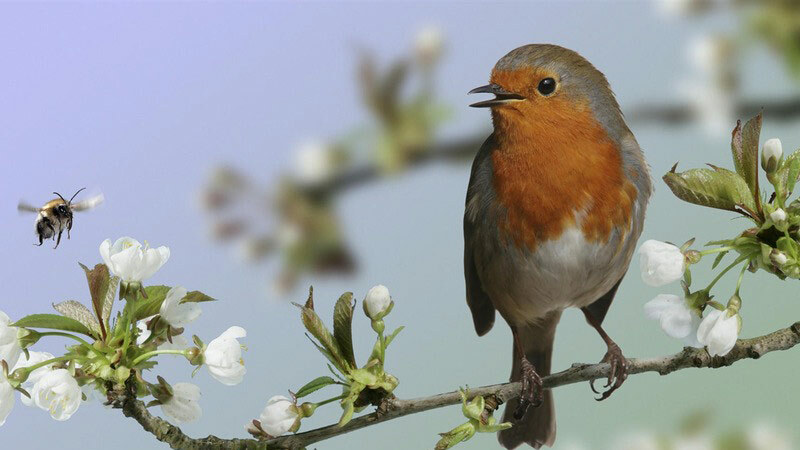 Corfu, as a green island hosts many bird species which represent an excellent opportunity for those who are interested to observe different breeds of birds. The most of them are observed mainly in the hills and mountains (such as Pantokrator), but there are other varieties found in lowland and the coastal areas of the island. The ideal bird observation spots are the protected habitats, Natura 2000, but also the large expanses of olive groves. As for the wetlands, more ideal is the Lake “Antinioti” in the North, the Lake Korission and the Alikes region in the South. Corfu has probably one of the most interesting geographical diversities of Greece. Hundreds of beaches with pebbles and golden sand, sheltered coves, caves and smaller islands make the most amazing landscapes you’ve ever seen! The sandy beaches are my favourite place to relax and Corfu has managed to compensate me in the best way: the magical beach of Halikounas and Korission lake with an unforgettable scenery! 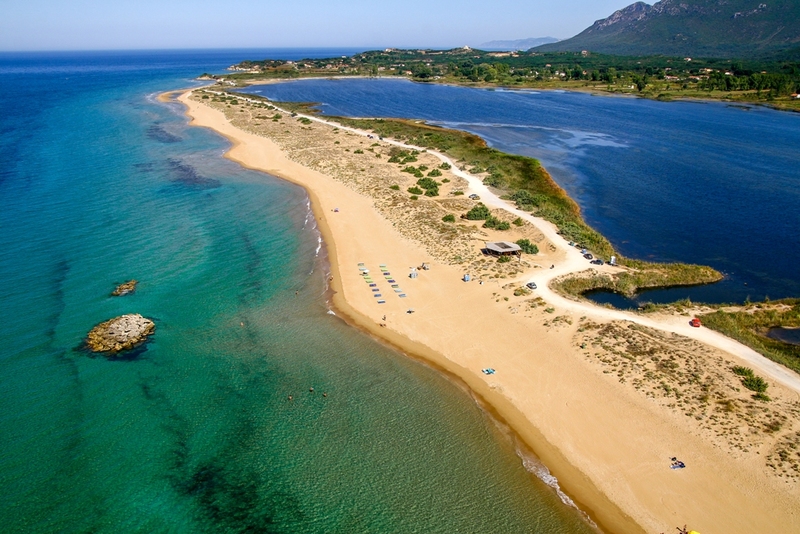 It is in fact it nothing but a strip of sand of several kilometres separating the Ionian sea by Korission lake. In some specific spots it becomes quite wide, creating a striking landscape scheme. Most often you will come across waves quite large, but not dangerous, which add their own touch to the natural canvas . The surrounding landscape is wild, untouched, the dunes and the low, almost incomplete, vegetation reminds us of a real Sahara landscape, in one of the greenest Islands of Greece. The beautiful scenery is harmonically combined with Korission lake, the island’s largest lake and a protected Natura area. 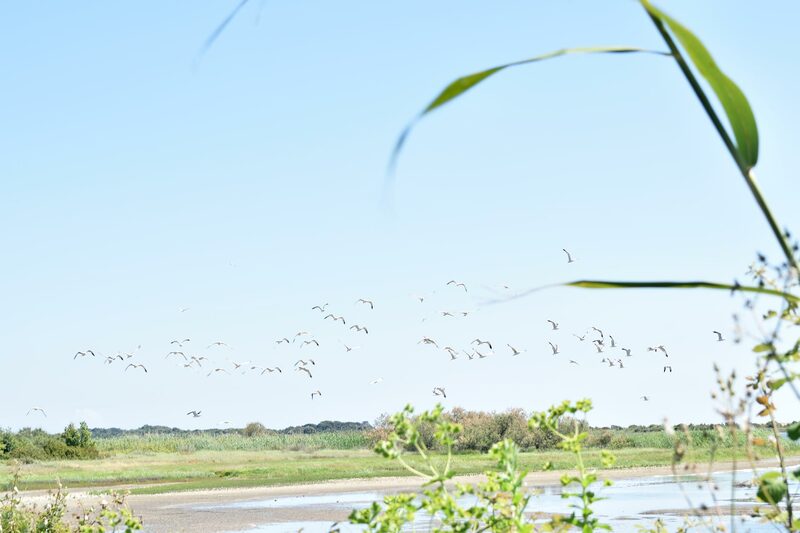 In its wetland we can find 126 species of birds , thousands of butterflies while its sand is a color palette with small reeds, white lilies and 14 different orchid species. After I met my friend at the beach bar we swum in the crystal-clear waters of Halikounas, we sun bathed in the golden sand, watching the adventurous swimmers kite-surfing and windsurfing. Before the sun goes down, we visit one of my favourite places, the Bioporos farm, to enjoy a dinner by the lake just before the sunset. We greet our friends Gennaios, Kriton and Iro, who have taken over Bioporos, keeping their parents culinary secrets and traditions, Costas and Agathi. We laugh, we hug and kiss; I haven’t heard from them since a lot of time and I’m really looking forward to hearing their news as we sit at the table. We drink the homemade wine, its sweet taste relaxes me and I gaze across the beautiful lake.